Employers must actively participate in the recruiting process in order to get results, starting with a job posting that passes muster. Put your best foot forward by taking the time and effort to craft a post that is accurately representative of the position, your company, and your company culture. Position description: Summarize the day-to-day tasks that an employee in this position would be responsible for completing. Be specific. Position requirements: Be open and straightforward about the education, work experience, and skill sets you are looking for in an ideal candidate. Benefits: Some companies aren’t open to sharing salary estimates on job posts, but all companies should be outlining the benefits of an open position. This can include insurance benefits and vacation time, as well as other nice-to-haves such as bonus programs, tuition reimbursement, remote work flexibility, or a great company culture. Details on the application process: Don’t keep applicants guessing on what happens next. Be sure to include all of the necessary steps that will happen between clicking “submit” to signing an offer. You’ll likely be searching for candidates on more than one hiring platform. If a job board allows you to add photos, videos, or any brand customization, be sure to take advantage of the opportunity! A little extra effort customizing your listing will pay off in the long run. Remember, most candidates will be applying to multiple, sometimes dozens of different companies. Anything you can do to stick out in the mind of a potential candidate is worthwhile! If you read this post you know it’s important to have a mission statement. Your mission statement will come in handy when hiring and sharing your story. Talented employees are looking to work at companies that align with their values, and every business has a story to tell. Take some time to share what makes your CAM business unique, and be sure to reiterate your company values during the interview process. Don’t limit your posting to job boards alone, reach thousands of quality candidates by advertise your open positions on your company’s social media accounts. With around 70% percent of americans using social media – it’s a no brainer that the technology can help you get the right people in the door. Try this: Encourage your employees to join in on the fun and post open opportunities on their own social media profiles such as LinkedIn or Facebook. Incentive-based employee advocacy programs can yield great results for your hiring team. Plus, talent knows talent! It’s very likely that your current employees have a network of like-minded, successful colleagues from various jobs and educational pursuits. A little preparation goes a long way when it comes to hiring new talent. And remember, hiring doesn’t stop when the candidate accepts a position! Be sure to nurture new hires with effective on-boarding and communication. A positive candidate experience is crucial for future referrals! Whether we’re talking about the framing of your house or the framing of the Mona Lisa – carpenters and artists alike would agree that framing is essential. This is especially true in the age of the internet – where you don’t always control how or when clients, vendors, or residents “experience” your CAM business. It’s only been a few weeks since we wrapped up Innovia co-op’s winter Summit and its packed agenda with the theme: Stronger Together. It was an incredible opportunity to reflect on our membership and our community of over 1.1 million residents, and our biggest takeaway was crystal clear: the only direction we’re heading is up! Over the course of three enlightening days in Maryland’s National Harbor – our agenda focused on making the most of our cooperative’s impressive scale to make a difference for the independent CAM businesses we’re proud to call members and the communities they proudly serve across the country. At the end of our time at the Gaylord National Resort & Convention Center, members walked away with quite a lot to think about and act on. With exclusive new benefits to open up valuable new savings and revenue streams for clients, digital marketing tactics to try, and active discussion on the most pressing needs from members- this year’s winter convention tee’d up 2019 to be an incredible year of growth for our cooperative. Featuring HOA credit reporting, vendor compliance screening, and exclusive pricing for employee training. Hundreds of Associations have adopted the CommunityBase App. Interested in learning how the app can improve your business and resident communications? Learn more here. Including a revitalized digital focus, plans for powerful new member tools, and strategies for the continued growth of the co-op. Innovia co-op has introduced an all-in-one app for residents to access all existing homeowner association and community management resources in the same place. Created specifically for each community association to create a welcoming experience for the user, and convenient communication tool for managers, Community Base is designed to be streamlined and efficient. The innovative, user-friendly app gives residents the convenience of one touch access to communicate with their community management team while Community Base’s push notifications increase effective outbound communication by Management. Notifications sent to residents will get stored in the messages section for easy access later on. The unique opportunity provided by Community Base is that the app merges all existing and future resources into a single location. “This app simplifies life and business for both residents and management companies. Residents no longer have to remember the URL for their association’s website, their account portal, or how to contact management when the need arises. It’s all on their phone! One touch and they’re exactly where they want or need to be, less stressed and no necessity to contact management for login help. Another added bonus is quick and easy set-up, which makes implementing the app a breeze for management,” explains Nick Zuccala, Business Development Manager of Innovia co-op. Community Base gives management firms control to provide a single solution regardless of what software company they are using, who provides the website(s), payment portal, and hosts documents; with Community Base the firm and/or association can aggregate everything into a single source (regardless of the technology) at a very low annual fee. Best yet, there are no additional databases to manage. Residents will always have real-time access to all community resources in the same easily-accessible centralized location no matter how many back office improvements or software changes you make in the future. Community Base launched January, 2018. Innovia cop-op is excited to announce a new trade partnership with Vendor Information Verification Experts (VIVE), a national firm providing compliance verification of vendor insurance, trade licensing, government watch list validation, and document retention, to the community association management industry. With this trade partnership in place, Innovia co-op members will receive member pricing when selecting the VIVE product solution. Mark D. Jones, AMS®, PCAM®, has over thirty-five years of experience in the HOA management industry. He is the President of The Avalon Management Group, AAMC, serving over 30,000 homes from three offices in Southern California. Mr. Jones is the founder of the Greater Inland Empire Chapter of CAI, one of the original twelve founders of the California Association of Community Managers, and one of the seven founders of Innovia co-op. His industry volunteer work encompasses teaching management operations and technology at CEOMC Retreats, speaking at multiple regional seminars on topics that cover everything from budgeting to strategic planning, and sharing his expertise as a member of the California Legislative Action Committee for over eight years. Also, he has served as Board Member, Committee Member, and President of the local chapter of CAI on multiple occasions. Recently, Mr. Jones was appointed to the Board of Directors of the Foundation for Community Association Research. Numerous industry accolades enhance his list of accomplishments. He is the recipient of the CLAC Silver Star Award as well as a three-time recipient of the Innovation of the Year award. Also, Mr. Jones has been elected to the GRIE CAI Hall of Fame and was the featured management expert at the only CAI-affiliated conference in China. More than ten communities under his supervision have been named Association of the Year. This recognition is closely tied to his philosophy on work and life. He is a constant learner, innovator, and strong proponent of Board Member education and collaboration between management companies. In response to the challenges posed by the creation of national management conglomerates, he has leveraged numerous resources provided by Innovia co-op to improve marketing, lower operational costs, and launch innovative tools that would otherwise be out of reach for a regional-sized company. Without the collaboration of member CEOs and the tools available through these combined resources, Avalon would not be as competitive as it is today. Of the many tools Innovia shares, the resident mobile app known as Community Base has been the most effective. With mobile use now representing 98.2% of how HOA residents access their community information, it’s become mission critical to deliver a customized mobile app for each community. That’s because one of the biggest challenges with overseeing multiple associations has been creating the level of personalization necessary for residents and potential association homeowners who have come to expect this type of service experience in the digital age. To address this challenge, Avalon Management Group has leveraged the Community Base app to develop and deliver unique content that residents in each community feel represents them. Also, adding more content and upgrading association websites with visual and written content have been a way to attract more homeowners who are interested in these communities. This drives greater demand for these communities as well as helps maintain or even increase home values. Want to know how the Community Base app can benefit your communities? Learn more here. Many of Avalon’s community websites includes a personal welcome video from the association president with an overview of the community’s amenities. There is also a video that showcases the local area so prospective residents can see what it’s like to live there. New features were added to enhance the overall experience for residents and encourage them to frequently visit and interact with their association online. Providing more information to help residents with their daily lives also illustrates the differentiating value that an HOA offers. These content-rich features include local area news, a meeting and events calendar, community links, an account portal, and documents and forms. Since rolling out these additional features, residents have been extremely positive, according to feedback they have supplied by responding to an online survey found on their community website. Avalon’s goal is to continue upgrading the website and mobile app based on residents’ suggestions across all of its associations. For community management professionals across the country, the time of year is swiftly approaching where we all begin to look back and reflect on the year that was. What were your challenges? How did you overcome them? (And could the co-op have helped?) Please, feel free to discuss in the Innovia member’s group discussion on linkedin (not a member? we’d love to talk). So what can you do right now to help build the foundation for a more successful 2019? You can start with due diligence. By checking items off your list in a few key areas, you can substantially reduce risk for your business and the associations you manage. From governance and administrative housekeeping to yearly savings – spending even an hour on each of the following items could save you substantial time, money, and stress in the year to come. Setting aside time to make note of important timelines could be one of the most important things you do when it comes to planning the coming year. When a community association hires your management company – they expect you to stay on top of a wide variety of dates and deadlines. By setting aside an hour or two every year to carefully study governing documents and any other documentation, you can make a substantial dent in your planning for the year – while creating a much clearer picture of the year to come (and deadlines that can’t be missed). Does your state require that you maintain any specific professional licenses? If it does – are all of those licenses current? According to the Community Associations Institute, 9 states have adopted some kind of formal regulation for professional community association managers (shaded blue). In many locations, state law stipulates when and how new residents and lot owners receive disclosure packages. This can get even more complicated when you’re in a large, master-planned community with many separate neighborhoods (each with their own declarations). On top of looking at association governing documents, it’s also smart to revisit vendor contracts once a year as well. On one level, you should assess whether or not your needs have changed over the course of the year. But this is also an important step to avoid pricey auto-renewal mistakes if you are planning on canceling a service or bringing it in-house. While you’re thinking about your vendors, it’s also a good time to consider the risk your vendors expose you to. If you’ve never thought about vendor compliance, it might be time to dedicate some time to it. To make the process easier, Innovia co-op has partnered with VIVE, a national provider of verification for vendor insurance, trade licensing, government watch list validation, and document retention for the community management industry. Looking to streamline vendor compliance? Contact Innovia today. This time of year is also a good opportunity to take a look at your approach to assessments. From the way you handle enforcement of policy to the way you collect dues – are you taking advantage of all the opportunities available to make this critical part of HOA management as hassle-free as possible? For Innovia co-op members, the Community Base app is a great place to start. Are you using Community Base to stay connected to your residents? The app makes everything easier – from payment and communication to valuable home improvement savings. If you’re a member not using Community Base – getting started is simple. Contact Innovia to learn how. Community Base is an exclusive member-benefit of the Innovia co-op. To learn more about how a membership could help your management company – get in touch today. It’s important to periodically take a look at your sources of revenue, your fees, and any income that you might not be tapping into. From putting your reserves to better use with a new banking program to re-negotiating access contracts with cable and internet providers – the opportunities are there. Are delinquencies a problem for your associations? With over 1.1 million units across the country, Innovia co-op’s members represent a substantial portion of the community management industry. This scale has allowed Innovia to partner with Sperlonga data to offer members exclusive pricing on the company’s full suite of HOA credit reporting solutions. By incentivizing on-time payment, management companies using Sperlonga’s program enjoy fewer delinquencies month over month. Whether you’re new to the community management industry or you’re a seasoned veteran, this time of year represents a valuable opportunity to both reflect and to look forward. What are you improving on this year? Can the co-op help? We’d love to know. Innovia Member Appointed to Foundation for Community Association B.O.D. Innovia co-op is proud to congratulate Innovia member, Mark Jones CEO of The Avalon Management Group, Inc. AAMC® on his appointment to the Board of Directors of the Foundation For Community Association Research. This organization has been providing accurate, insightful, and timely information for homeowners, association board members, community managers, developers and others since 1975. The Avalon Management Group is an accredited HOA management company that has provided exceptional service experiences to homeowners’ associations for over 35 years. This Innovia member combines in-depth industry knowledge, innovative technology, and a homeowner-focused management approach to help Southern California communities thrive. The holiday season brings its own unique set of challenges to the community management industry. This year, members from across the country have weighed in with their advice and insights on everything from gift giving to community safety (the best, and worst places to be cooking your eggnog). Members have also discussed and shared articles on winter weather clean-up and maintenance, as well as how to deal with an influx of deliveries. Today, we’re sharing some of the top articles that will help you plan ahead so you’re not only surviving the holidays- but thriving during the months leading up to a successful new year. PS Property Management shares critical information for keeping your communities secure during what should be the most joyful time of the year. Crime prevention and safety protocol are discussed in this short but important article. Did you know more than 400 residential fires involve Christmas trees, resulting in as many as 40 deaths and 100 injuries! This is worth the read to keep your associations safe. These 7 tips from Association Management can help your HOA’s plan for events during the holiday season! There might not be much snow in this southern state, but Association Management is making sure the true meaning of the holiday season- togetherness – is at the forefront of their minds. From charitable giving, to recipe exchanges – check out this article for fun ways to bring people together in your communities. In snowier news, you will want to review these 10 tips (shared on social by Innovia member, AMG) before the winter weather hits. This article also describes the difference between a winter storm WATCH, a winter storm WARNING, and a BLIZZARD WARNING – all of which are extremely important to understand. Preview one of the tips below. On behalf of Innovia co-op, we wish you a very happy holiday season. We hope the co-op has helped enhance your business this year, and continues to provide valuable resources, benefits, and community! Across the country, community management professionals work with a wide variety of factors that impact their residents, communities, and businesses. With outside influences ranging from technology and public policy to weather emergencies and shifting demographics, fielding everyday resident requests is only the beginning. In such a dynamic climate, it’s crucial for CAM entrepreneurs to stay agile. This year, Innovia co-op members continue to prove that cooperation makes harnessing that agility a simpler task with the collective scale that grants members access to greater savings, cutting-edge technology, and valuable partnerships. With the help of co-op resources and relationships, members thrive together while retaining the flexibility of independent ownership. The result? Another year of growth – and exciting opportunities to come. CAI did it again this year with 2 ½ days of inspirational networking, learning and reflection. The community management industry is changing so quickly from outside influences; including unpredictable forces like natural disasters, rapidly-evolving technology, and a competitive job market are forcing industry leaders to navigate an ever-changing landscape more quickly than ever before. The group discussed the difference between working in your company and working on your business. And with the recent natural disaster just miles away from the Boca Raton conference, in the Panhandle of Florida, Hurricane Michael was fresh on the minds of many attendees. Though these are obviously tough times for many residents, it was powerful to see the knowledge share that was happening among industry leaders at the event who were looking for the best ways to help their residents in need. Industry leaders from all over shared stories of overcoming past natural disasters and the importance of preparation. It’s easy to get caught up in the operational details and day-to-day challenges. But ultimately, this event was a reminder to set aside time to plan, develop and prepare for what we sense is coming on the horizon, as well as the unexpected. Ultimately, alignment on the details up front empowers your business to operate most efficiently and successfully. So whether it’s a contract with a new customer you’re on-boarding, or a new emergency evacuation policy you’re rolling out, the details are critical. Our goals are often more aligned than we think. The details in something as big as new contract or as small as an event flyer empower us as leaders to continue to lead this industry to success. The sessions, keynotes and leaders at CEO-MC were a great reminder of the impact we can have on our communities. And I’m fortunate for the opportunity to continue to share knowledge, experience and success with many of you throughout the year. If you’d like to continue to grow your network and expand your reach, consider a quick chat with me to learn more about Innovia co-op. After all, we’re in this together and our residential community cooperative is a perfect example of that. Community management is a competitive industry and it’s important for each of us to be aware of what’s to come. If you missed our first seven trends in Part 1, check it out here. But if you’re already caught up, read our second set of seven trends below. Over the last couple of years there was an increase in available inventory. However, in 2018 inventory is tight and demand is increasing. The economic uncertainty has kept amateur investors and landlords from getting back into major investments and top investors are expanding their empires. Not only are they buying up property, but they are buying out property management services such as community management companies. If this is interesting, there are some critical things investors are looking for: (a) transparent financials (b) efficient systems (c) automations (d) clear sales and marketing tactics (e) full-service solutions. Residents, in addition to the previously-mentioned potential investors, continue to expect on-demand services. Efficient, instant solutions are available for every industry today. And community management is no different. Though we’ve talked about this trend before it’s important to keep in mind that the expectation is continuing to increase, and the expectation for speed is continuing to speed up. Are your systems, operations and team up to par? These previously-mentioned efficiencies often come in app form. Just as websites became expected a couple of years ago, apps have become expected this year. Consumers continue to spend an increasing amount of time on smartphones, and if you don’t have an app they already feel like you’re behind. App design is an art. It’s not enough to throw up a cost-effective app; apps should be intuitive, clean, and should meet the unique needs of residents. Technology is influencing physical amenities as well. If your properties have a gym, how are residents booking classes? If your properties have a laundry facility, is there a way to remind residents when their wash is done? How are residents booking common space for private parties? Ultimately, think through the amenities at each of your properties. How could technology improve the experience for residents? And how can technology increase efficiencies for your team and outside vendors? Ultimately there are established solutions and startups continuing to innovate in this space. Innovia co-op recently launched an all-inclusive app that residents and community managers agree improves the quality of life and community. Delivery is critical to residents. Services like Amazon are ruling household purchases and residents are relying on their communities to help keep their belongings safe. Smart lockers, package messaging, and smart locks are all evolving solutions that are increasing the efficiency of package delivery. Gated communities have their own unique challenges and drop-off points and procedures are critical. And how are your communities ensuring the safety of those deliveries? Cameras and other security solutions are desired by residents who expect successful delivery of critical items. We knew this day would come, and it’s finally here. Though it’s important to keep in mind that these younger generations are dealing with credit card debt, identify theft and building credit in ways previous generations didn’t think about. Renters are challenged with building credit and first-time buyers are looking for creative financing options, such as solutions startups are offering like a 10% down and 10% match program. And these generations are aware of the importance of privacy and data protection. Are your systems up to par? If not, these generations aren’t afraid to spread the negative feedback on their social feeds and within the communities they influence. Do you have a content strategy? It’s become the best way to drive local leads. Are you networking within your local community? Positioning yourself as a local influencer positions your business as a local market leader. Social media and local events continue to drive results, but new tactics such as podcasts are starting to drive significant results. The key is to be knowledgeable, authentic and likable on channels that your communities already find influential and partner with them. Have other trends to share? Innovia co-op encourages the sharing of ideas, findings, tips and learnings amongst cooperative members. Interested in joining? What’s new for community management in 2018? Community management is a competitive industry and it’s important for each of us to be aware of what’s to come. The digital age and rapidly evolving technology can make it difficult to stay ahead, but there are important offline trends we should remain equally as aware of. Understanding resident expectations, what excites them and every day concerns is critical to management effectiveness. But ultimately, community management operations and efficiencies remain the biggest opportunities for our position as community leaders. Residents homes are now filled with automation. From Google Assistant to Ring doorbells to smart light bulbs, smart home technology is on the rise and will soon be the norm. This innovation is playing a role in communities and cities as well. As community managers we need to be aware that convenience is essential for happy residents. We must consider that electric cars are on the rise, where do residents re-power their vehicles? Do they deserve preferred parking? Wi-fi is everywhere. Could it improve the amenity centers and common areas you manage? And how can you use wi-fi to your advantage? Think about smartphone apps, online calendars and digital community rules. Speaking of scheduling, consumers are used to doing so ahead of time. And that goes for ordering too. Digital ordering and scheduling solutions create efficiencies for residents and managers alike. Have you been hearing rumblings from residents of unhappiness? Or has something small escalated for one particular community member? Watch out! They are likely finding a place online to vent about your company or your staff. Do you have a feedback loop in place? Are there ways to get ahold of your staff easily? And is your staff responding in a timely manner? If not, check Facebook and other social media channels, Yelp, Google Places, the Chamber of Commerce and any other local business listings. If you do experience complaints online, follow up with the resident publicly so that when your next potential HOA is doing their research they give you the benefit of the doubt. Though it’s clear that digital is supreme, interestingly enough offline interactions are becoming increasingly important to residents. Consumers are celebrating their unique interests and residents are looking for community events to gather with those similar to them. Whether it’s wine tastings, barista trainings, crafting or fitness classes, residents are looking to the community to support their special interests and talents. We used to think that pools, playgrounds, and tennis courts were one in the same with the idea of community. But, residents want more than that. They want customer service, efficiencies and offerings that go above and beyond the amenity itself. Have a club house you aren’t leveraging to connect your residents? It’s not working. Can you add a Wi-fi hot spot and turn it into a business center during the day? Can you increase your people-to-people interactions? Residents will thank you. This technology is taking over. Consumers expect to be able to experience what does not yet exist. Launching a new app soon? Share an experience of what it’s going to be ahead of time. Internal selling techniques are critical to resident happiness. Is an area within your community under construction? Share what the area will look like once it’s completed. Get residents excited about the changes before they have time to feel otherwise. How are new associations finding you? If it’s not through word of mouth chances are they are pulling out their mobile devices and search browsers to find the best community management team near them. Is your website mobile and user friendly? If not, you may be missing out on new leads. Is someone managing your online reputation and social channels? An online community manager may need to be your next hire. Baby Boomers are continuing to age, and residential solutions for seniors are becoming increasingly important. Whether you’re managing a community dedicated to ages for 50+ or have a few communities with large segments of the senior population, it’s important to keep this demographic in mind. And senior care isn’t what it used to be. Beyond traditional care needs, these adults are more active than previous generations. They are looking for ways to stay fit, such as senior yoga classes, and places to interact with people their age, such as senior events. For more updates like this, check back with our Community section often. American Community Management is one of the largest community administrative management firms in Maryland, serving over 225 communities. ACM uniquely provides not only website services for all of our clients, but we have developed an interactive information and document management system for more than 26,000 residents and commercial unit owners. We have earned the designation of an Accredited Association Management Company® (AAMC®). We MANAGE to Make a Difference! We’re happy to have American Community Management and their team as part of our great alliance and are looking forward to all the great energy they’ll bring to the cooperative. 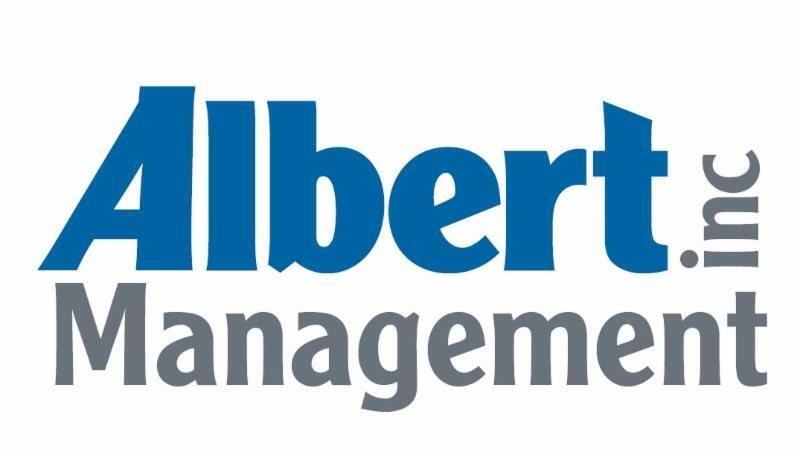 We’re happy to have Albert Management, Inc and their team as part of our great alliance and are looking forward to all the great energy they’ll bring to the cooperative. We’re happy to have Valencia and their team as part of our great alliance and are looking forward to all the great energy they’ll bring to the cooperative. One of our members, the Avalon Management Group, AAMC® hosted 3 private screenings of Disney’s newly released movie, Cinderella for 1,000 residents that live in any of the 54 Avalon managed communities. Avalon Management provided complimentary movie tickets and concession vouchers to their very happy residents. Our members truly appreciate their clients and love to give back to their communities. Innovia is a cooperative business. That means we are a jointly owned enterprise engaging in the supplying of services, operated for our members for their mutual benefit. Our purpose is to bring together independently owned management companies to leverage economies of scale so you can get better prices on products and services without having to give up any control or independence. Being in a co-op definitely has its benefits when it comes to costs, services, and available resources. Want to know what Innovia’s co-op benefits are? We have some of the best reasons why belonging to a co-op is great for your HOA management company. We were developed for one reason only – to benefit our members by creating services, resources, and innovative programs that allow them to succeed. Our co-op benefits are designed around the needs of our HOA management companies and what they require to become successful and this is always foremost in our minds. We aim to make sure passionate entrepreneurs like you can keep your independence but still enjoy pricing and services comparable to large companies. Being a HOA management company is an exciting, fast-paced, and sometimes, exhausting venture and we understand this. That’s why our many different co-op benefits are tailored made for this industry – from our superior pricing on coupon books, to discounted payroll services, to getting a deal on every day office supplies, we’re here to help. This doesn’t mean being connected to just any other management companies; this means being connected to other management companies just like yours. Our members are looking to the future and working together with other like-minded companies to move their businesses forward. One of the best benefits of being in a co-op like Innovia is having a whole network of different business owners united for the mutual benefit of everyone, we’re all here to help answer questions, solve problems, and give advice. Our co-op benefits will help to put you and your HOA management company in the right setting to succeed while retaining your independence. Do you have questions about our co-op benefits and services? Contact us here today! Being a member of Innovia comes with so many new and exclusive benefits for your HOA Management Company and residents, it’s easy to see why so many of your peers choose to join. All our exclusive programs, services, resources, and homeowner perks are tailored for companies just like yours. Here are the top three reasons why you should join Innovia. We can help you retain and gain clients – You work hard to gain and retain every client you have. Through the innovative services and resources available to you by becoming a member, you have the opportunity differentiate your company in your marketplace. Our cost savings programs and exclusive homeowner benefits site, My Innovia Perks means you can offer your clients something your competitors can’t. You gain all this while still remaining an independently owned business. At Innovia, we’re giving you the tools you need to become a bigger and better business, while still staying true to your small business roots. We can help to cut your costs – Running an HOA management company is an intensive job – both financially and mentally. Why not cut down on some of these costs and make your life a little easier? Our combined buying power allows us to negotiate better prices and higher discounts for things like payroll services, office supplies, printings and mailings, fuel, and much more. We can also help you free up some time. Our social media management program allows you to stay fresh and relevant online without having to do anything. We also have a robust hiring program where we can help you find and hire the right people for open positions at your company. We can help you stand out – Our marketing strategies and social media management program are designed to get you more exposure by being a member. Your membership also means you are connected to some of the best management companies nation-wide, all working together for the mutual benefit of the entire membership. As a cooperative everyone involved is vested in helping each succeed. Retain and gain clients, cut costs and help your HOA management company stand out by becoming a member of Innovia today. Have questions? Contact us here!